All welded kettle whips have heavy gauge 1" diameter stainless steel handles. 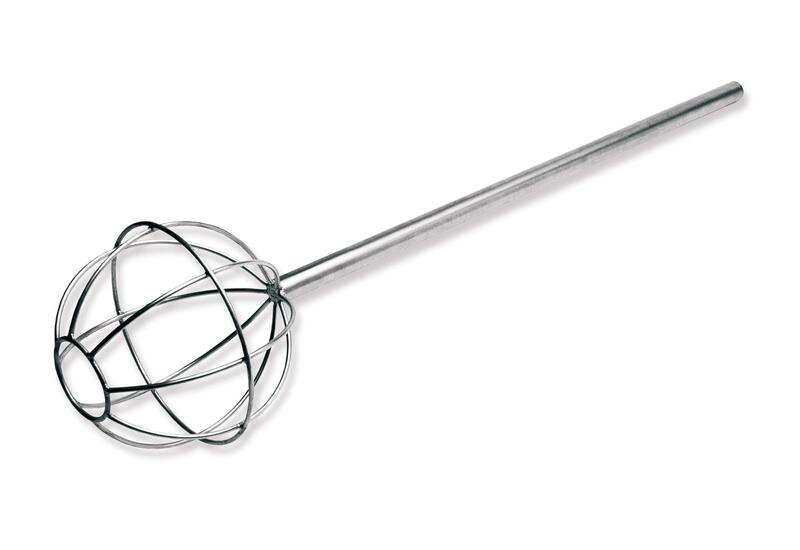 The 8" x 8" whip ball is constructed of eight 3/16" stainless steel wires and two support rings. All tig welds are ground and polished for sanitation in use.